Light Weight & Full Featured! Perfect Pilot Gift! Manufacturer Low-Priced!! You are looking at a Brand-NEW SkyLite aviation headset with fold-up style. SkyLite has been in the aviation business for many years, providing economic but high-quality solution to pilots over the world. With the help of our strong world-wide customer base and consultation from professionals in this industry, our headsets has been tweaked to suit demanding needs for pilots. The SkyLite SL-800 are made to be durable for long-time use. With its extreme light-weight of 13.2oz and the Soft-Cushion Ear-seals, we make sure you can stay stress-free while still concentrating your long cross-country flights. Regarding ear-protection, our 26db NRR rating is one of the best in the industry when compared to David-Clark or Lightspeed, etc. Volume controls are achieved comfortably by the knobs on each ear-cup. And the fully-flexible boom microphone itself is equipped with Electrets-Noise Cancelling technology, making your voice crisply clear and at the same time cutting all the unnecessary noise in the environment. You can refer to the feature lists and the table below for comparison of functionality of this excellent headset. You can also get better ideas of this headset by the comments from some of our happy customers. We have many customers returned to us for this excellent headset because of its high quality and low price. You will be very surprised why David-Clark or other major brand can charge double or triple for similar quality. We are providing 30-days money back guarantee and one year warranty to clear all your skeptics because we are confident our products will make you believe differently that flying is fun and not necessarily to be expensive. Note: We are offering a free headset bag with each purchase. It is a great BONUS compared with common headsets and has tremendous value. 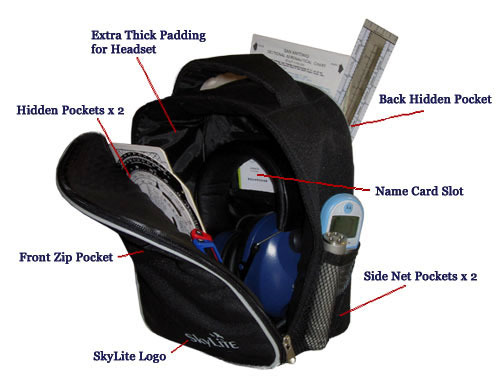 The bag itself is designed by professional pilots and suits every needs you have during your flight and it is not available else where. We cannot stress more on how a well-organized cockpit can make your flight much safer and smoother. Therefore, we hope giving this out for free not only can protect the headset, but also, make the preparation of your flight a lot easier. 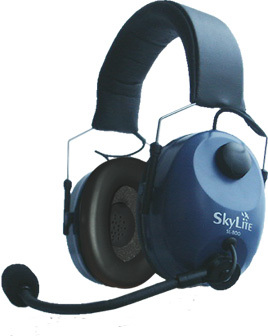 Get this excellent SkyLite SL-800 headset today and make your flight more perfect! The Most Complete Aviation Headset System Ever Built! !!! 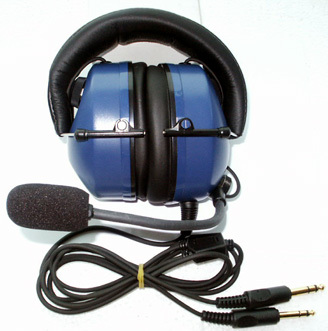 Excellent 26db Noise Reduction + Comfort Cushioning + Full Flex Mic Boom!!! These headsets were very surprising. I in no-way thought these would be as good or comparable to David Clark headsets, but I was wrong. They sound great; and my co-pilot thought I sounded good as well. Thanks! Excellent headsets, I have bought eight units and all users are happy. No problem, good sound, good mike, everything is OK.
You can buy one (or more) it's really a "best buy" or a "must buy" ! Great unit for the money. Light weight, clear communication, and easy adjustment. Could not ask for more. Delivery was fast and prompt. I had good communications we your company from the time I placed the order until it arrived at my door. Service as a whole was excellent. Product arrived as advertised. And performed as well. Great job, thanks. • We accept payment thru Paypal only. • Payment must be made within 5 days after the auction closed. • Shipping and handling charge is a flat rate of US$15.00 to worldwide location. All S&H is non-refundable. • Item will be shipped via International Air Mail within 3 business days after receipt of payment. • Tracking is available when insurance is purchased. • Replacement will only be given to defective items or lost item when insurance is purchased. • Other rush delivery services are available upon request with additional charges.